MaxPreps is a website and sports database that uses algorithms to grade high school sports performance and rank them accordingly. It was founded in 2002 by Andy Beal, with the intent of analyzing all sports that are played at the high school level. Currently, they cover a total of 29 sports, including boys, girls, and co-ed. Their idea is to be able to rank and place schools in a tier-list of sorts, not only based on win/loss ratio, but also a number of different factors, even down to the players. They also upload highlights and clips that come from these certain schools and show off players. The intent is to not only do all of the above, but also help some players in high school have higher chances of being scouted and recognized. 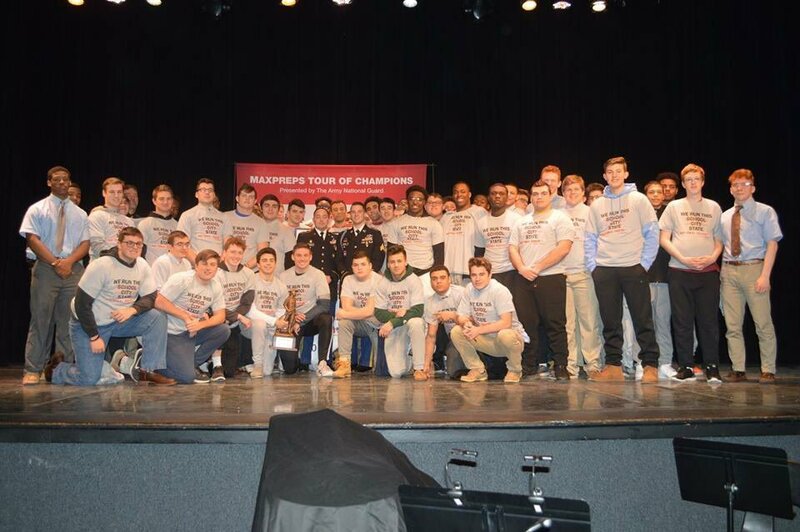 On Jan. 28, Cathedral Prep’s football team was honored with an all-school assembly to present them an award during MaxPreps’ 14th Annual Tour of Champions presented by the Army National Guard. After winning the state championship for a third time consecutively, it was a nice surprise that the school was again being nationally recognized. While Cathedral Prep seems to be a bit used to receiving awards for their various achievements in academics and sports, this one is special. Prep finished 86th in MaxPreps’ national rankings after defeating Imhotep Charter 38-7 to claim their 3rd Straight PIAA 4A Championship. Not many high school teams are honored with such a prestigious award. Let’s hope that Prep can continue to be recognized in the future not just for its football team, but the other sports as well, so Prep can be seen as an even better school for its sports programs.